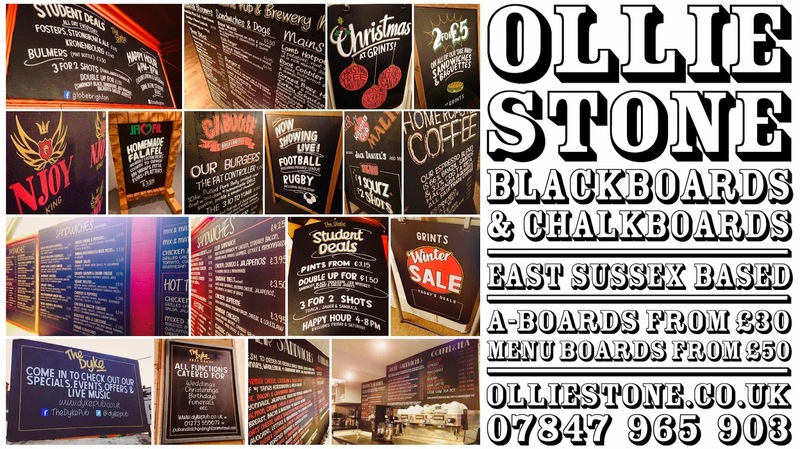 Blackboard Chalkboard by Ollie Stone: Chalkboard sign writer for hire. Brighton. London. South East. Chalkboard sign writer for hire. Brighton. London. South East.